Today, Nathan and I meet a milestone in another coloring activity book that we had for several years and now completed it! 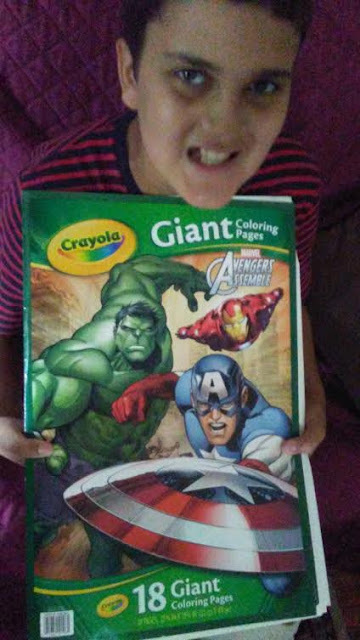 Because, Nathan has been interested in arts and crafts particularly coloring, we have finally finished coloring Marvel's Avengers Assemble coloring book which has his favorites, Iron Man and Thor, based on the cartoons! 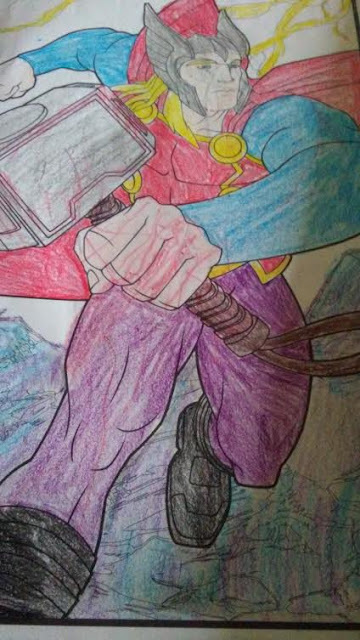 Sometimes, I have done "hand over hand" over his hands while other times Nathan will show independence by making coloring by himself. 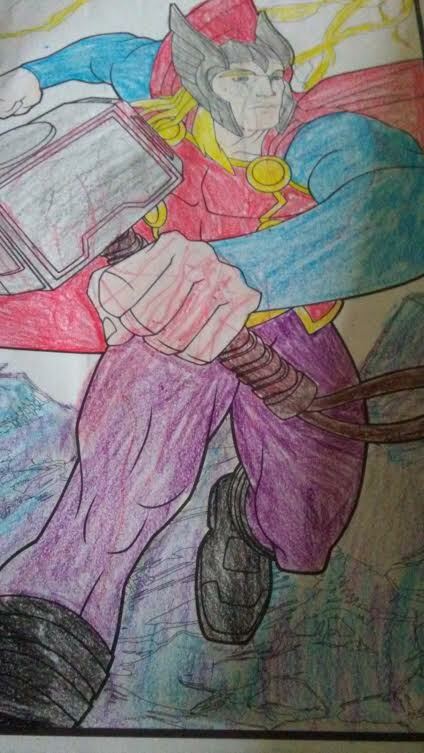 Right now, I encouraged him do a color page as one of his "non-digital" choice before watching "digital" activity or a snack! 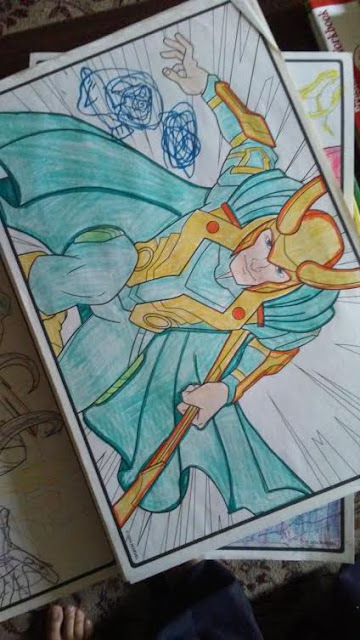 Part of what he learns when coloring is getting to talk about the story on the page, choosing and naming colors from his crayons or markers, and writing his name after completing his work! And, we are continuing to use different coloring techniques to highlighting bold lines and filling in the "white spaces" on the pages! Above pictures are some of the artwork Nathan (and some assistance for me) colored these pages during our family time together! We talk about opposites about Thor and Loki, two brothers who do two different things! We will continue to finish the next coloring book before purchasing new ones for Back to School!